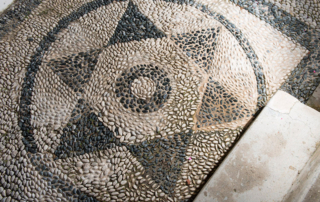 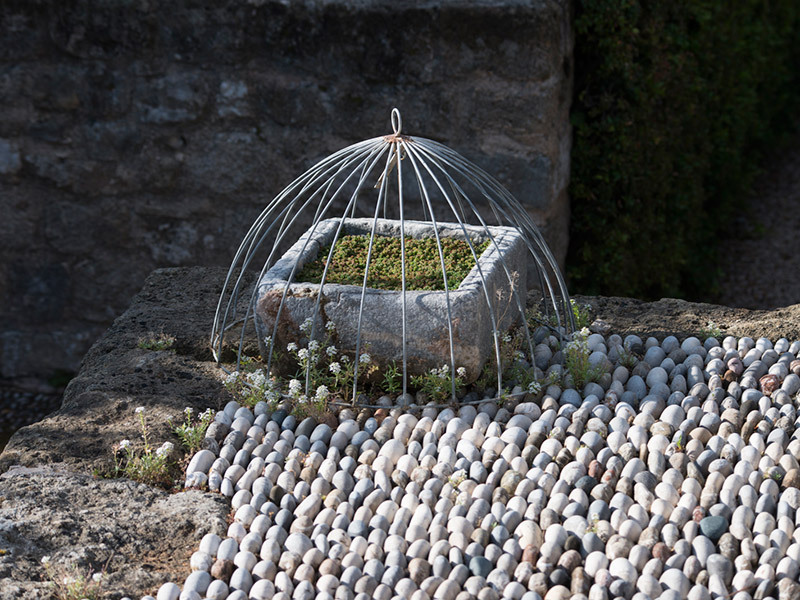 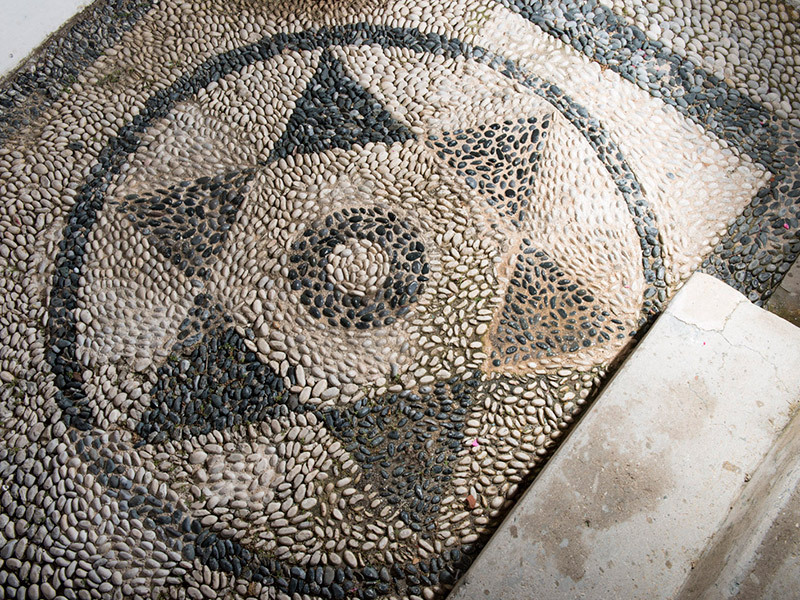 “Marc’s garden” is a special garden, a garden of memory and hope, a symbol of renaissance. 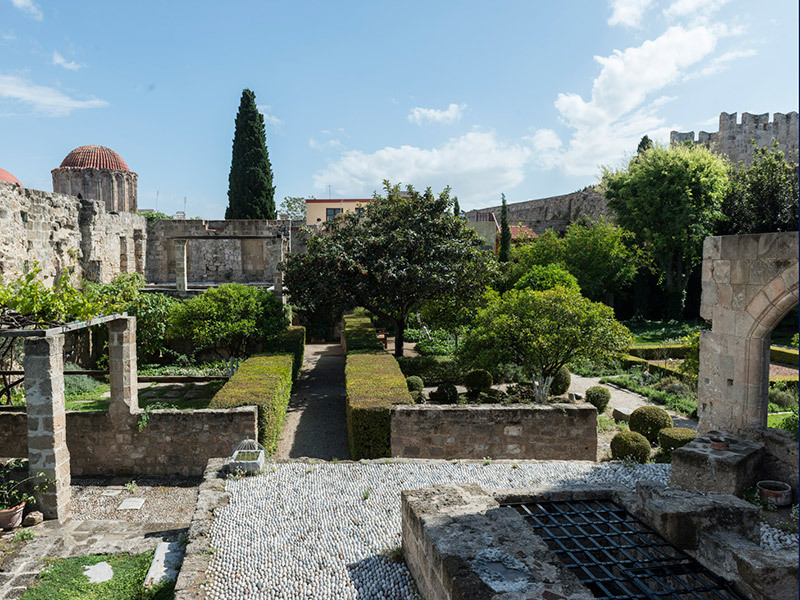 Tucked away between the walls of the old town of Rhodes behind the Byzantine chapel of St Mark, the garden extends along the ramparts to the Monastery of St George, with a glimpse to the north of the palace of the Grand Master of the Order of the Knights Hospitaller of St John. 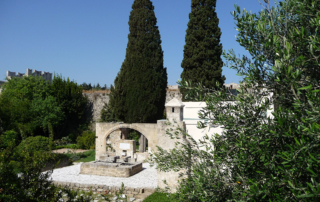 Two tall cypresses stand like candelabra beside the fountain; the presence of fine white-berried myrtles besides the chapel of St Mark bears witness to the age-old sacred nature of the site. 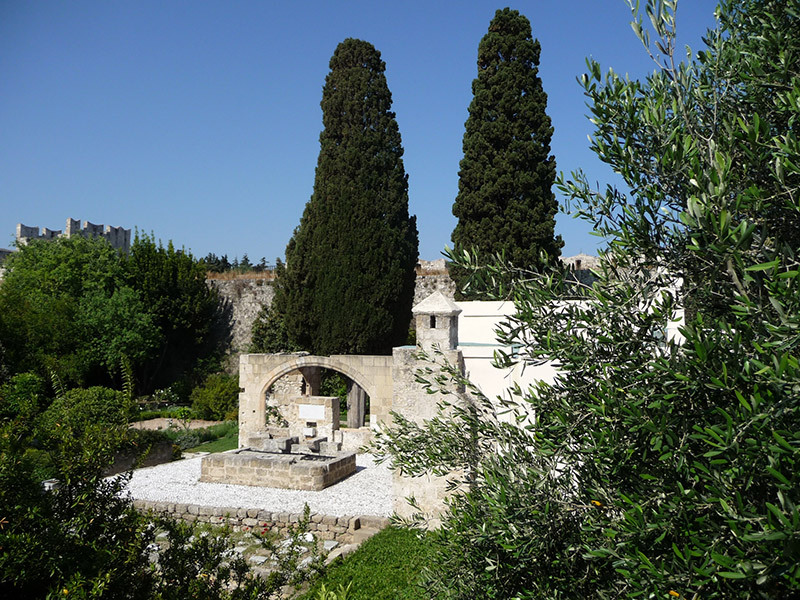 In the vicinity of bitter orange, lemon and mandarin trees the branches of the old pomegranate trees are bowed down by the weight of their fruit, symbol of memory and rebirth. 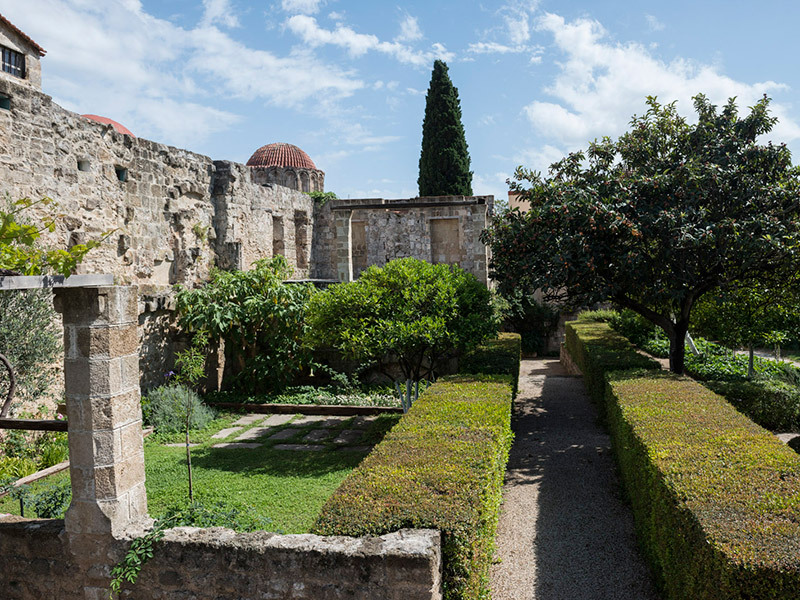 The particular location of the garden, beneath the ramparts, suggests three distinct readings of it, as it were: it can be viewed from above, from the ramparts, it can be seen from outside, from the churches of St Mark and St George, or it can be wandered through by those who have access to it. 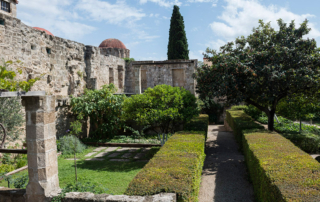 Early sources indicate that the garden already existed in the 13th century and continued to do so through the epoch of the Knights as testified by Caoursin’s miniatures of 1484 and through the Ottoman period. 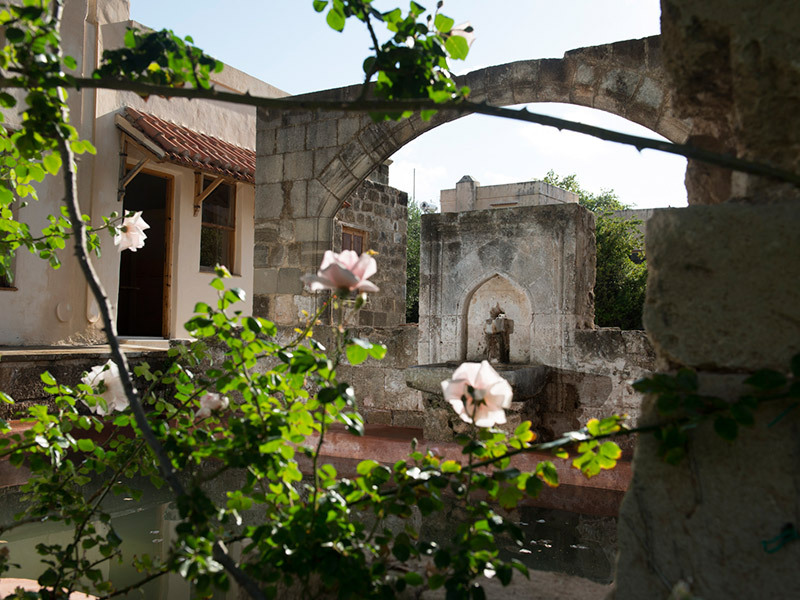 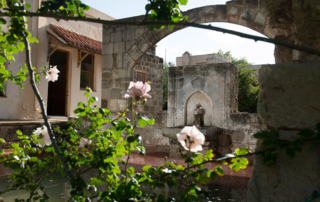 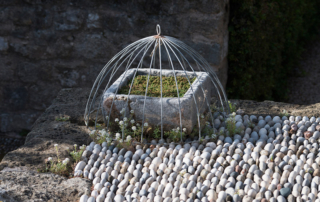 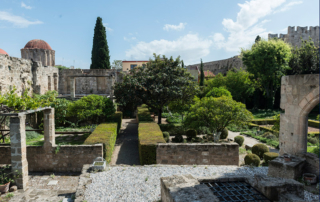 The garden draws its inspiration from all that is common to both mediaeval and Ottoman gardens, as for example the presence and symbolic significance of water, the square or rectangular layout, the use of aromatic or medicinal plants, the presence of enclosed and symbolic spaces. 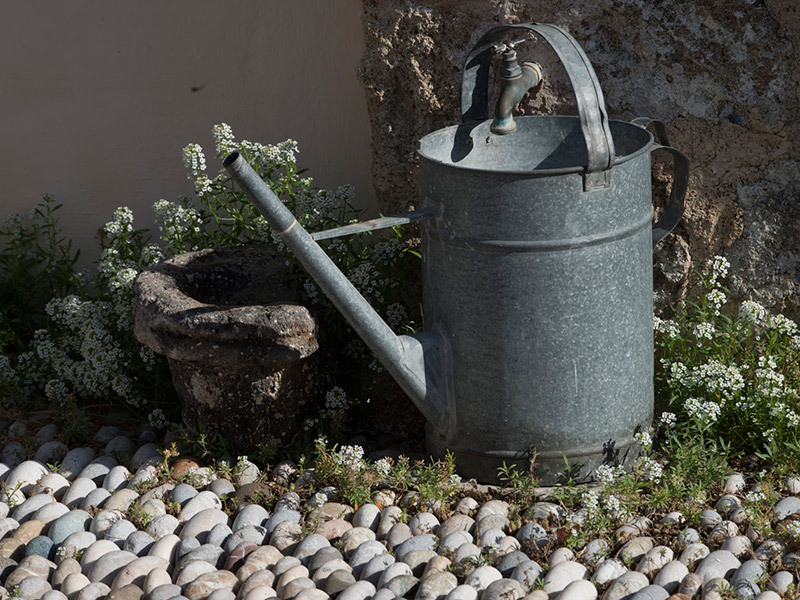 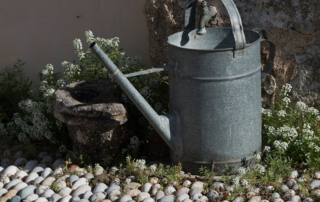 Water is an important element in the garden. 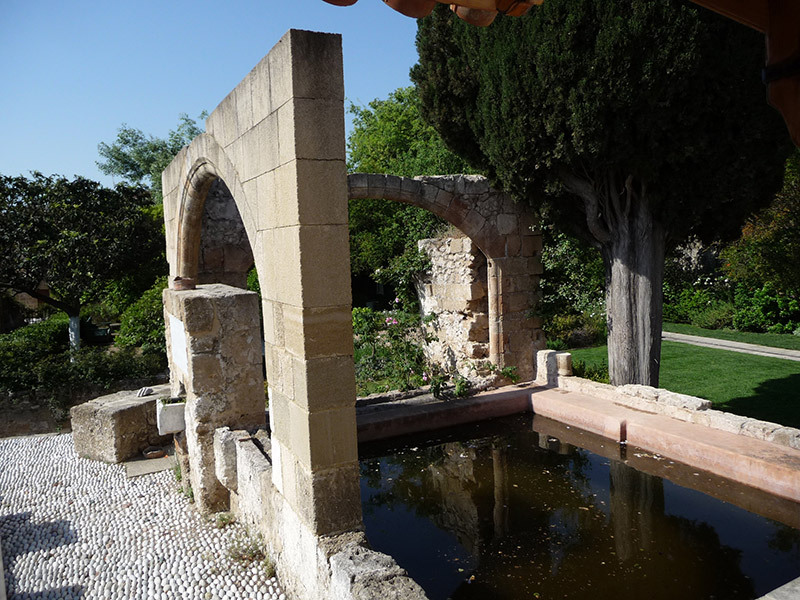 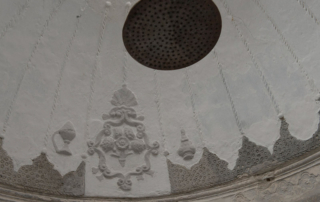 It flows from the old well through the Ottoman fountain into a large square pool in the centre of the garden, and from there into the small rill which runs the length of the garden and which recreates the Turkish layout in a modern spirit. 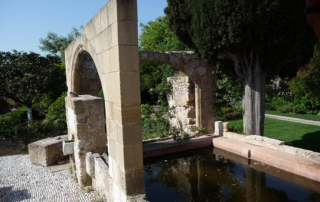 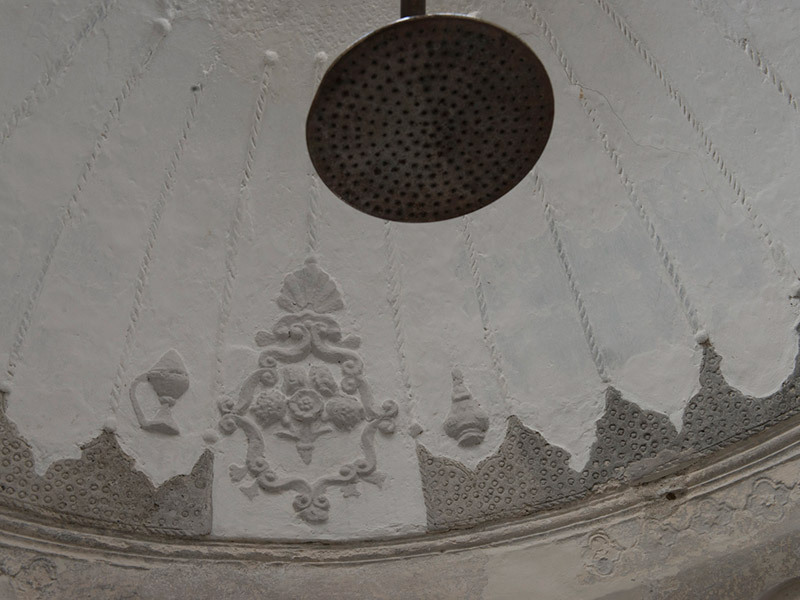 Thus along the two axes marked by the flowing water, the space is divided into a series of rectangles and squares, mirroring the square pool, which, with its Ottoman fountain framed by mediaeval arches, itself bears witness to the integration of two different cultures over the ages. 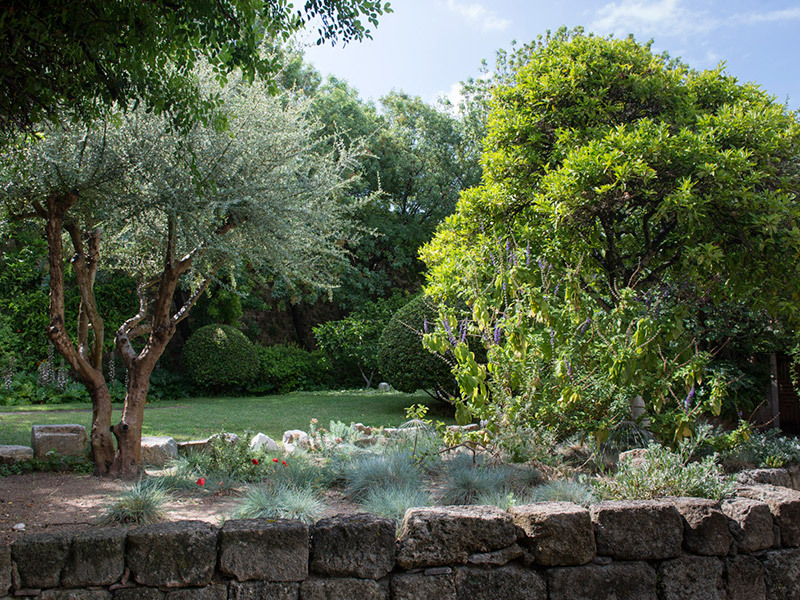 The motif of the square is thus developed throughout the garden and repeated like a play of mirror images, emphasised by hedges of myrtle and rosemary: the square of water becomes a square of greenery; it is repeated again and again, framed by santolina, surrounded by white cistus and roses, achilleas, salvias and white lavender, thymus. 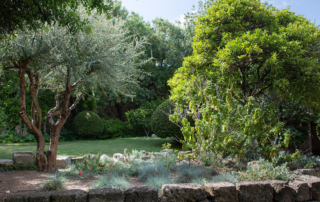 White is the dominant colour of the garden, interrupted only by the red of the pomegranate flowers and of the poppies which appear of their own accord in spring between the stones of the well terrace. 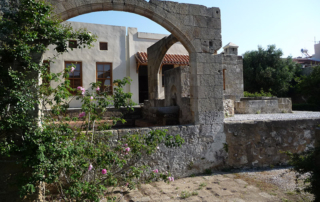 This gives the place a special atmosphere, most noticeable on nights of the full moon, when the light seems to be diffused throughout the whole place, from corolla to corolla and from star to star. 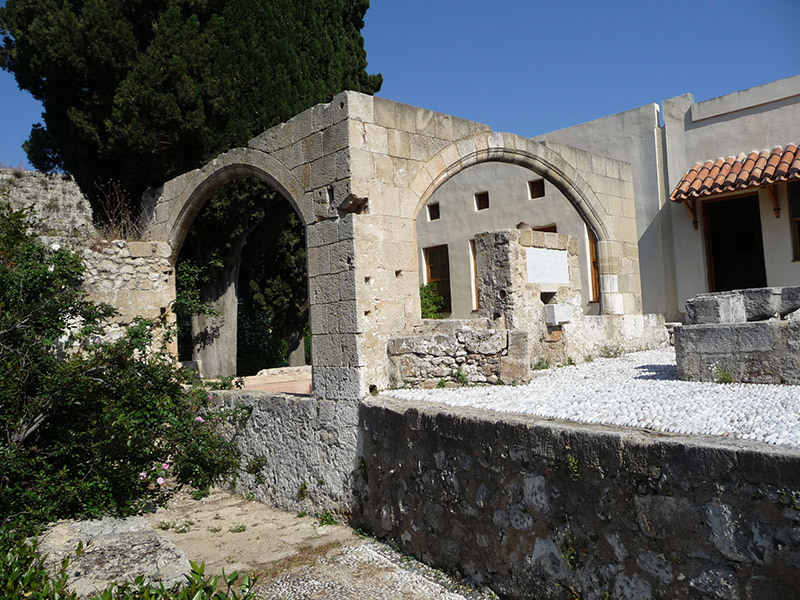 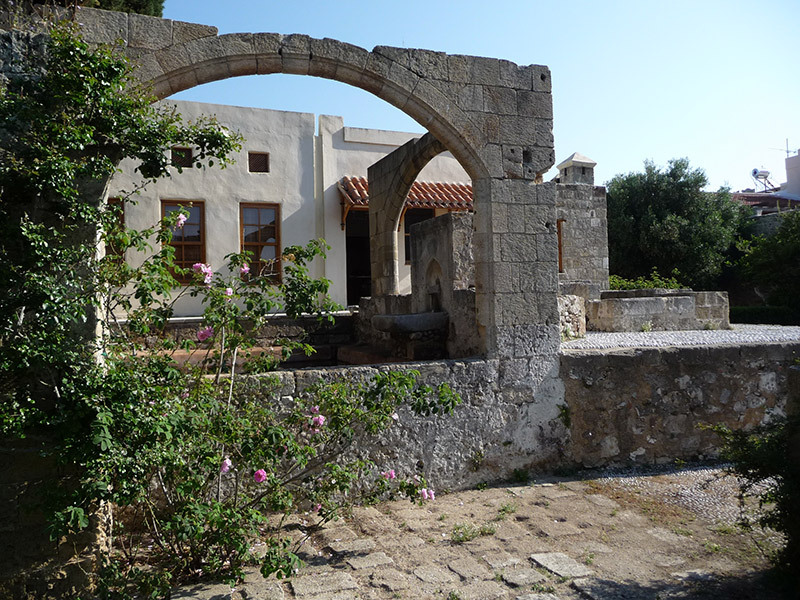 In 1995 this piece of land and the building were donated to the City of Rhodes and restored. 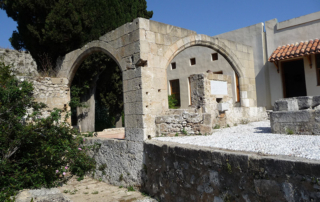 They became the Greek seat of the Marc de Montalembert Foundation.